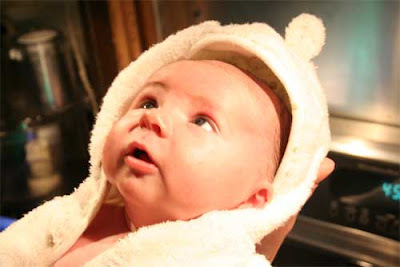 After every bath we give my son, we immediately wrap him in a bath towel that looks like a bear. It's almost more of an outfit than just a towel; it has a hood with ears that covers his damp little head, and has arms with little paws on the end. It snaps shut in the front to keep him warm and he basically looks like he is wearing a fluffy little bear skin. And, when I place my son in this outfit after every bath, I inevitably think of one particular scene in The Empire Strikes Back on the icy planet Hoth. If you've seen the movie, you know the scene; Han Solo cuts open a tauntaun and shoves Luke Skywalker inside the carcass of the snow lizard to keep him warm. That's what I picture whenever I towel off my son, and frankly it makes bath time a little more fun for daddy. Information and views on fatherhood. Swiper, get counseling! Swiper, get counseling!